"Little thimbles" in Italian. 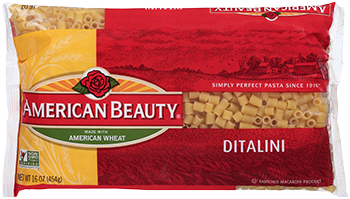 A smaller cousin of elbow macaroni, ditalini is a straight smooth tubular shape. 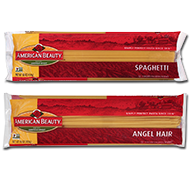 Ditalini is versatile and can be used in hearty soups, stews, salads and side dishes. Ditalini is often the shape used in Pasta Fagioli ("pasta and beans"), a classic thick Italian soup.